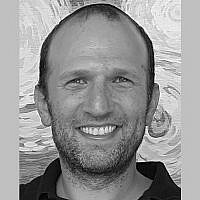 Jonathan is the director of Tichon Ramah Yerushalayim (TRY), a high school study abroad program in Israel. Jonathan grew up in Owings Mills, Maryland and made Aliya in 2009. He holds an MSW from Bryn Mawr Graduate School of Social Work and Social Research and worked as a foster care and high school social worker in Southwest and North Philadelphia before moving to Israel. Jonathan lives with his wife Roni, and son, Yuval, in Jerusalem.